Roland Van Campenhout is definitely one of the most unique Belgian artists. Active since the 60’s of the past century Roland built up an extensive and eclectic discography. More than 20 albums on which folk, blues, rock, world music, movie- and theatre soundtracks … all celebrate together, creating a new musical dimension defining the true free musical spirit Roland really is. 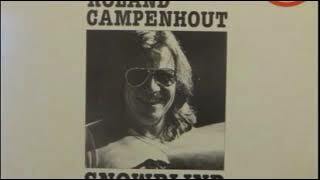 He received multiple Awards, toured the world with Rory Gallagher and played with Tim Hardin, Leo Kottke, Ian Anderson and the entire Belgian scene.“Snowblind” is an adventurous and unique album, somewhere en route between Ireland and Belgium, between folk and blues. The album was originally released in 1981 and never re-released before. 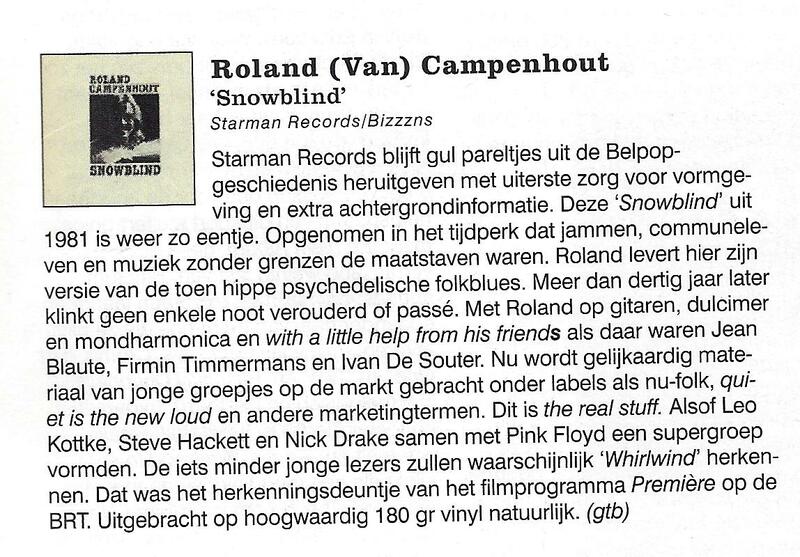 Snowblind is another high quality release brought to you by Starman Records, revealing once more another rare gem from our musical past.